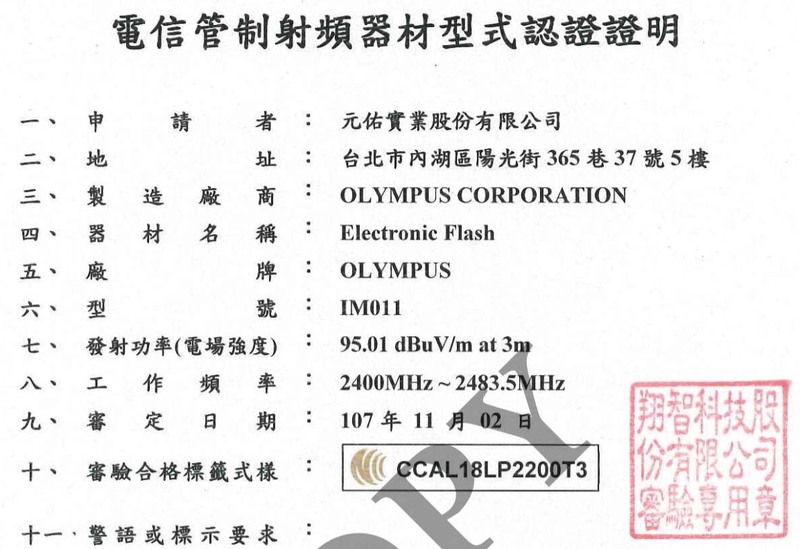 Nokishita is reporting that Olympus registered a flash in Taiwan. Olympus’s unpublished electronic flash “im011” has been registered with an overseas certification body. Wireless commander “im012” and wireless receiver “im013” were also registered with today. This entry was posted in Accessories, Olympus and tagged Flash Receiver, im011, im012, im013, Wireless Flash. Bookmark the permalink. Trackbacks are closed, but you can post a comment.